As BDP’s Project Director Stephen was involved in developing the design concept design and directed the design team in delivering the project. The first phase of the University of York’s new campus expansion. This £100m project comprises 4 new academic buildings, Computer Science, the Schools of Law and Management, Theatre Film and Television, an Interdisciplinary research Hub as well as a 600-bed student college. 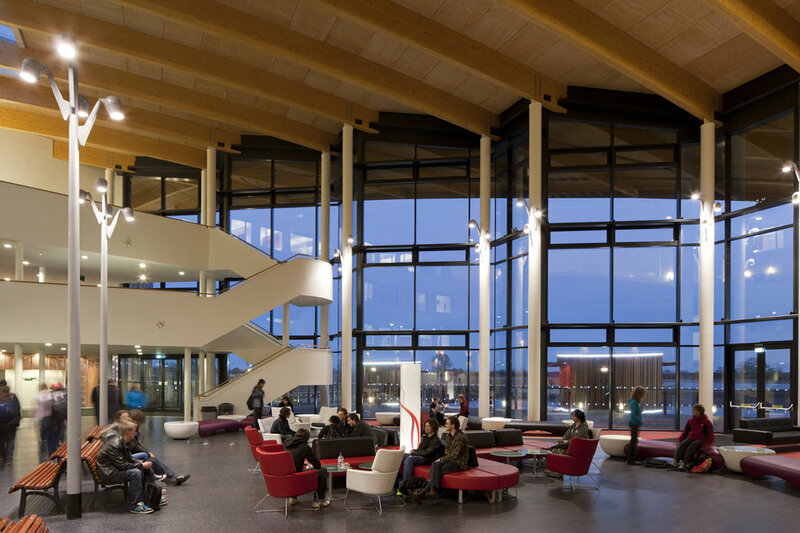 The Hub, is the focal building for the first phase of the University of York’s new campus extension, it is designed to foster research collaboration both between academics and with the outside business world. Conceived as a Forum the building’s grand hall faces out across a newly formed lake and is surrounded by a four-storey wrap of research offices. 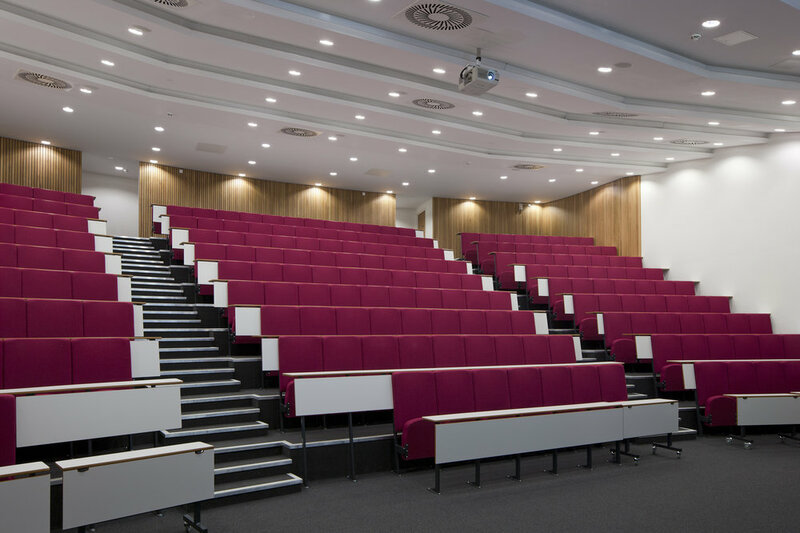 The building houses a large lecture theatre in its copper clad prow, a 360° projection facility and unique meeting pods on the lake. The buildings are set within a new themed landscape masterplan. This project has won a number of awards in recognition of its design quality including an RIBA Award 2011.